Gratitude is perhaps the most powerful of human emotions. Benefits include improved physical health, greater happiness, better sleep, more self-esteem, stronger relationships, greater resilience, less anxiety, reduced symptoms of depression, and so much more. That said, gratitude doesn’t come easy for most of us. We don’t wake up every morning feeling like a million bucks and endlessly grateful for the good things in life. The fact is we’re built for survival, not happiness, and therefore, gratitude takes considerable effort. Considering the benefits, those efforts are well worth it. Taking five or ten minutes to practice one of the following gratitude exercises is enough to invoke a strong feeling of gratitude and reap the rewards of greater happiness, better sleep, and so on. 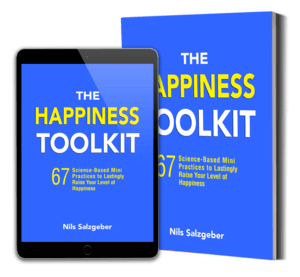 Below you’ll find eight science-based exercises that’ll help you feel more grateful on demand. Enjoy! The first experiments studying the effects of gratitude were done on so-called gratitude journaling—writing down things one feels grateful for. “In our first study, we randomly assigned participants one of three tasks, each of which created a distinct condition,” writes leading gratitude researcher Robert Emmons in his book Thanks!. Every week for a total of ten weeks, participants kept a journal, either describing in a single sentence five things they were grateful for that had occurred in the past week (the gratitude condition), five hassles they were displeased about that had occurred in the past week (the hassles condition), or five random things that had occurred in the past week (the control condition). The results of this first study blew the researchers’ minds. After the ten weeks, participants in the gratitude condition felt better about their lives as a whole and were more optimistic than people in the other groups. According to the scale the researchers used, the gratitude condition participants were a full 25% happier than the others. They also spent more time exercising (on average, almost 1.5 hours per week!) and reported fewer health complaints than those in the other groups. Subsequent studies have shown that gratitude journaling improves people’s health, helps them sleep better, increases their prosocial motivation, boosts their happiness, makes them more optimistic about the future, and even helps them cope with stress or setbacks they may experience in their lives. If you want to try it for yourself, give yourself ten to fifteen minutes and simply write down people, places, objects, memories, or events you’re grateful for. The things you write down can range from the mundane (you got a lot of work done today, your husband cooked for you, or your flowers are finally in bloom) to the magnificent (your book getting published or your child’s first steps). 1) Keep it fresh. In one study, participants who wrote down things they were grateful for only once a week got more benefits from the practice than participants who did it three times a week. The researchers suggested that perhaps counting one’s blessings several times a week led to boredom and habituation. So, when you’re contemplating things you’re grateful for, make sure to keep things fresh. Don’t count your blessings in the exact same way every time. Vary it up. Think about what you’re grateful for with respect to your work life, your friendships, past events, or your life circumstances. Maybe only do it once or twice a week. When the strategy starts feeling like a chore, stop it for a while or mix it up. 2) Be specific. You’ll experience more gratitude when you consciously and deliberately bring to mind the thousands of hours of effort your mother has put into raising you, the fact that she wants the best for you, and the little things she did for you than when you simply say that you’re grateful for your mother. A study from the University of Southern California validates this. The researchers split participants into three groups. One group wrote five sentences about one thing they were grateful for in their lives. Another group wrote one sentence about five things they were grateful for, and the last group wrote about ways in which they were better off than others. Each group completed their task once a week for ten weeks. The results? Those who wrote five sentences about one thing—the specificity group—showed they were less sad, lethargic, and tired compared to the other groups. They were also significantly more excited, elated, alert, and happy compared to the others. Instead of making a long list of things you’re grateful for, make a shorter list, but elaborate on more details. Try writing five sentences about only one thing, instead of one sentence about five things. 3) Feast on surprises. Research shows that, all other factors being equal, unexpected events that surprise as elicit stronger emotional reactions than expected events that we anticipated. This is true for both negative and positive emotions. When you’re contemplating things to be grateful for, look for novel, unanticipated, or surprising experiences, circumstances or events – they will elicit stronger levels of gratitude. 4) Focus on people. This tends to elicit more gratitude than focusing on things. Plus, it automatically improves your relationships. 5) Focus on intentions. When you receive a gift, consider how someone tried to bring that goodness into your life on purpose. Maybe even at a cost to themselves. “Several studies have shown that if the receiver thinks the giver is providing a favor intentionally for their benefit, the receiver is more likely to experience gratitude,” writes Emmons in Thanks!. 6) Really feel the emotion. Don’t just write a superficial list. Try to sincerely feel the emotion of gratitude. This might take considerable effort at times. 7) Remember, it could be worse. Focusing on why something could be worse leads to gratitude. Focusing on how it could be better leads to envy. One study showed that imagining how things could’ve been better made people view themselves as unlucky and elicited feelings of envy. Imagining how things could’ve been worse made people view themselves as lucky and elicited feelings of gratitude. 8) Consider subtraction. What would your life be like without certain people or things? What if a loved one died? What if you had no running water? What if you had no bed? What if you had no cups to drink out of? 9) Look at things as “gifts.” Research shows that seeing the good things in your life makes you more grateful for them. Your strengths, your health, your family, your eyes… these are all gifts given to you for free. At the end of your day, write down three things that went well and explain why. The items can vary from the mundane (your co-worker made coffee for you; your husband picked up a treat for you on the way home from work) to the extraordinary (you earned a promotion; your sister gave birth to a healthy baby). The key to making this practice as beneficial as possible is to take your time with it. Really reflect on those good things and feel the gratitude for them. Rushing through won’t help much. This exercise may feel awkward at first or you may have trouble focusing on the positive feelings of an event. That’s normal. Just keep at it. It will get easier. It’s best to practice this every day for at least a week. After that, decide whether you want to keep it in your daily routine, or just use it occasionally to refocus on the good things in your life. As simple as this exercise may sound, research has shown that doing it daily for a week increases people’s feelings of happiness and gratitude immediately afterward, as well as one week, one month, three months, and even six months later! Close your eyes. Call to mind someone still alive who did something or said something that changed your life for the better. 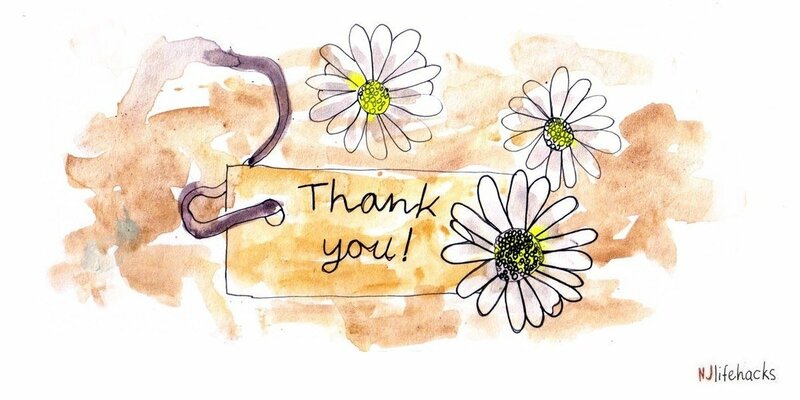 Someone you never properly thanked; someone you could meet face-to-face next week; someone you may not have thought about or seen for a while; someone who isn’t always on your mind. Address the person directly (“Hey __________.”). Be concrete. What exactly did this person do for you? How did it affect your life? Why are you grateful for them? Let the person know what you’re doing now and mention how you often remember what they did. Aim for approximately 300 words. Once you’ve written the testimonial, it’s time to deliver the letter. Call the person and tell them you’d like to visit, but be vague about the reason for the meeting; this works best when it’s a surprise. When you meet the person, read the letter to them. It may help to tell the person not to interrupt you and be open about the experience. After you’ve read the letter, receive the other person’s reaction and discuss your feelings together. In the end, give the letter to the person for them to keep it. This exercise boosted people’s happiness immediately after the intervention—and these boosts were maintained one week after the visit and even one month after. And don’t feel bad if you don’t want to deliver the letter. A follow-up study showed that merely writing the letter is enough to create a substantial increase in gratitude and happiness. Imagine you’re in your fourth year of college, six weeks prior to graduation. You and your fellow students are participating in a study that asks you to write about your college experience. Those who focused on the impending ending of college participated in more college-related activities (spending time with friends and engaging in activities with them) and felt a greater sense of well-being. When we focus on how a good thing is going to end soon, we appreciate it a lot more. I remember engaging in this type of exercise a couple of weeks before moving to Egypt. I knew that I wouldn’t see my friends, family, and acquaintances for six months—the amount of time I planned on staying in Egypt. When I thought about the trip in terms of endings—moving out of my apartment, leaving my neighborhood, leaving my friends and family, leaving everything I know, and so on, I felt an incredible sense of gratitude. I vowed to savor every remaining moment I had with the people and environment I was currently living with. I’ve tried many gratitude exercises over the years, but this has probably been the most effective, meaning it elicited the strongest feelings of gratitude in me. Thinking in this way makes you more likely to appreciate the experience and make an effort to capitalize on what remains. This advice comes from Roman emperor Marcus Aurelius, who jotted it down in his diary two thousand years ago. It’s this type of thinking that lies at the core of this exercise, and it’s supposed to help us value events and people we usually take for granted. Research shows that contemplating how fortunate one’s condition is and how it could’ve been otherwise elicits an element of surprise and feeling of gratitude. When I think about some of my friendships, I realize that many of them came into existence through mere luck. What if I never decided to go on my meditation retreat? Or what if I had gone at another time? I would’ve never met those people. In a way, these encounters were really quite lucky, surprising, and unexpected. Thinking about life in this way makes me more grateful. In one study, half of the participants were asked to think about how a positive event might never have happened or might never have been part of their lives, and to describe ways in which it was surprising that this thing ever even happened. The other half were simply asked to think about a positive event and how it happened easily or wasn’t surprising. The results showed that only those who thought about the absence of an event and how it was surprising and might have been absent from their lives benefitted emotionally and reported more positive feelings. In addition, those participants reported feeling more surprised that the event occurred and admitted they had very little understanding about why than the other participants who took it for granted. This type of contemplation—imagining how things could’ve been different—is called counterfactual thinking, and it makes a big difference in how much gratitude we experience. This is all about perceiving and looking at the world in a certain way, which we talked about earlier. When our counterfactual thinking is about regrets and lost opportunities and how everything could’ve been better, this makes us miserable. But when we remind ourselves of how much worse it could’ve been or how we may have never received a particular blessing in our lives, then we’ll experience gratitude. Subtracting a positive event or relationship in our imagination is a way to beat habituation—our mind’s tendency to take things for granted. By shifting the frame from the presence of something good to the possible absence of said thing, we appreciate it more. Try it for yourself now. Think about a positive event in your life, such as the birth of a child, a promotion at work, or a special trip to the Rocky Mountains you took. Mentally go back in time and contemplate the circumstances which made this event possible. Now consider ways in which this event may never have happened—for example, if you hadn’t read about the Rocky Mountains in a newspaper at random. Write down possible events or decisions that could have happened and would have prevented this event from occurring. Imagine your life right now if you hadn’t enjoyed this positive event. Mentally remove a good thing or person from your life, and you’ll experience a renewed sense of gratitude and appreciation for them. “All gifts look better when they look like gifts,” wrote British author G. K. Chesterton. To test this idea, Emmons set up an experiment in which participants were told to focus their attention on gifts they had received, using the language of gifts in the broadest sense possible. The results were similar (similarly awesome!) to the normal gratitude condition in which participants wrote down things they were grateful for. Daily life offers countless little things to be grateful for—a morning cup of coffee, the sun shining, lilies blooming, birds tweeting, and so on. Unfortunately, we rarely take the time to notice and acknowledge these gifts, blessings, and wonders of life. Instead, we’re lost in our thoughts, busy checking our phones, or simply rushing to get to the next task, meeting, or appointment. We miss opportunities to appreciate the beauty and life that is all around us. This exercise aims to change that. “Positive focus” or savoring group: They were asked to consciously notice and acknowledge as many pleasant things as possible—smiling strangers, a cat walking across the street, wind stroking their face, friends laughing together, and so on. “Negative focus” group: They were requested to notice as many unpleasant things as possible—trash, traffic noise, bad weather, grumpy strangers, and so on. “Normal focus” group: They acted as the control group and were simply told to go for a walk without any specific instructions. As expected, the people who were asked to focus on savoring the positive experiences were significantly happier after the walk, compared to the other groups. They also felt a greater sense of appreciation and gratitude for the world around them. If you want to try it for yourself, the instructions are simple: As you walk (preferably in a natural setting), notice as many pleasant things around you as possible—the smell of grass, the sound of dogs barking, the rays of the sun, and so on. Try to really take in and savor those pleasures. Walk for as long or short as you like. “Why would we want to remember that?” you may ask. Thinking about death, for most of us, is the last thing we want to do. Oddly enough, it’s only when we keep death in mind that we can be truly grateful for life. Think about it, we could be dead any minute. We could leave life right now, or tomorrow, or a week from now, or a few months from now. Shouldn’t we enjoy life as long as we’re still here? Shouldn’t we be grateful just to be alive? After these exercises, participants again reported how grateful they felt. Those who wrote about death in an abstract way didn’t feel any more grateful afterward, while those who visualized their typical day seemed slightly less grateful. But the gratitude levels of participants who imagined their own deaths in vivid detail went through the roof. These people seemed deeply affected by contemplating their own mortality in a specific and visceral way. This study resonates well with the stories of people who’ve experienced near-death experiences or life-threatening diseases—they report feeling more grateful for life. Now, for obvious reasons—the goal is to stimulate your own death, duh!—this exercise can lead to distressing emotions (e.g., fear or panic). However, as the study has shown, it also leads to more positive emotions and growth-oriented experiences. “Imagine that you are visiting a friend who lives on the 20th floor of an old, downtown apartment building. It’s the middle of the night when you are suddenly awakened from a deep sleep by the sound of screams and the choking smell of smoke. You reach over to the nightstand and turn on the light. You are shocked to find the room filling fast with thick clouds of smoke. “You run to the door and reach for the handle. You pull back in pain as the intense heat of the knob scalds you violently. Grabbing a blanket off the bed and using it as protection, you manage to turn the handle and open the door. Almost immediately, a huge wave of flame and smoke roars into the room, knocking you back and literally off your feet. There is no way to leave the room. It is getting very hard to breathe and the heat from the flames is almost unbearable. “Panicked, you scramble to the only window in the room and try to open it. As you struggle, you realize the old window is virtually painted shut around all the edges. It doesn’t budge. Your eyes are barely open now, filled with tears from the smoke. You try calling out for help but the air to form the words is not there. Please describe in detail the thoughts and emotions you felt while imagining the scenario. Again imagining it did happen to you, describe the life you led up to that point. How do you feel your family would react if it did happen to you? You may not feel much the first few times you practice. That’s natural. Gratitude sort of needs to be awakened for us to fully experience it. The more you practice, the stronger the feelings tend to become. You may experience negative emotions (envy, resentment, sadness) during an exercise. That’s also normal, especially in the beginning. Again, we’re built for survival, not happiness. By committing to doing the exercises regularly, you’ll slowly retrain your mind to generate more positive emotions and less negative ones. It may feel like a chore at times. That’s the case with most beneficial activities, isn’t it? Whether that’s meditation, exercise, or a gratitude exercise. It’s natural. Just accept it. Don’t make a problem out of it. And don’t feel bad about it. No, gratitude won’t make you complacent. This is a common fear, but studies actually suggest the opposite happens. Rather than make you complacent, gratitude imbues you with a sense of purpose to do more, acting like a driving force helping you accomplish your goals faster. “My colleagues and I have found that people are actually more successful at reaching their goals when they consciously practice gratitude,” writes Robert Emmons in an article. I’ve been practicing gratitude exercises on and off ever since I’ve learned about the benefits of gratitude a few years ago. The first thing I can tell you is that it gets better with time. In the beginning, I’ve found it rather hard to generate any lasting feelings of gratitude. Nowadays, even a two-minute exercise is often enough to generate a strong response and make me feel very, very good. As soon as the emotion of gratitude takes over, everything just feels okay. I get a feeling that “I’ll be fine, no matter what.” It’s an experience of peacefulness, warmth, and connectedness. And it just feels so, so good. Granted, it lasts for only a few minutes after the exercise. However, from all the studies I’ve read, I’m sure the benefits keep accumulating for far longer. As for the way I practice, that’s usually pretty random. Over the last ten days, I’ve cycled through the eight exercises and practiced for approximately twenty minutes daily. Other times, I won’t practice at all for weeks, or I’ll just do classic gratitude journaling at the end of the day for five minutes. I’m not strict or ritualistic about it. Rather, I tend to do it when I feel inspired, such as after reading about the benefits. As always, another wonderful insightful article. I really appreciate the effort you guys put into these articles which are both a joy to read and have helped me immensely in becoming a better person, even as a new reader. 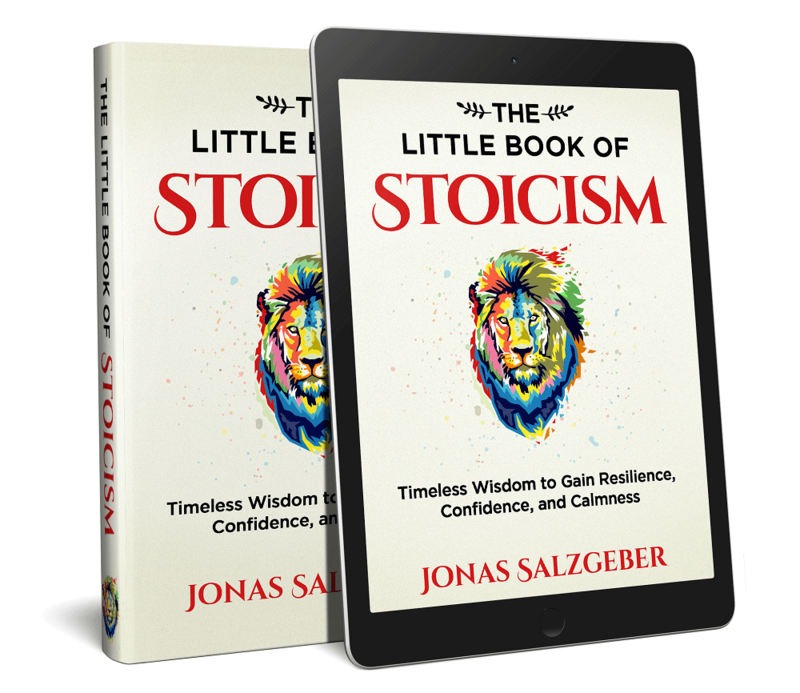 I particularly loved the 20 stoic exercises, which I refer to often as a reminder of how to be a good person and live better. I personally think you guys are great. As a former self-improvement junkie (maybe, I still am), I suffer a lot from information overload which paralyzes me when it comes to taking action and I often don’t make any improvements even though I have the knowledge down pat. As such, I guard my inbox well and only subscribe to very few websites, with this site being one of them. While I could probably get the information elsewhere, I really like you guys and seriously love reading your articles. Yesterday I sent a gratitude letter which was really nervewracking for me, but I went through with it and I’m glad I did. Congrats on taking action as well. What response did you get from the gratitude letter? I always find these exercises helpful. Saw them first in the book flourish. I am sure you read the book. Agree, they are surprisingly effective. Didn’t think much of them before I tried them, but they really work. Your writing was like the spiritual bathing experience.